Welcome to Post-weekend Poetry and the thirty-seventh poem in this series. This week’s piece welcomes back Linda Eve Diamond. You said you did, you lied to me, but then all women lie. With that, he gathered up his things and spewed a harsh goodbye. She would have loved him always, but he had one awful flaw. He interrupted her every sentence, her every little thought. But oh, how she cried when he walked out the door. The rest of her sentence would have been more! 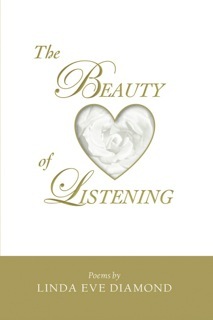 This poem is included in “The Beauty of Listening”, available on Amazon.com and Amazon.co.uk. 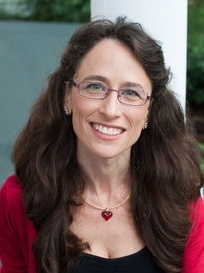 The blog interviews will return as normal tomorrow with multi-genre author Rinah Lidonde aka Christina Ow – the four hundred and eighty-second of my blog interviews with novelists, poets, short story authors, bloggers, biographers, agents, publishers and more. A list of interviewees (blogged and scheduled) can be found here. If you like what you read, please do go and investigate further. And I enjoy hearing from readers of my blog; do either leave a comment on the relevant interview (the interviewees love to hear from you too!) and / or email me.